You may have heard that some analysts consider Windows Phone a legitimate iPhone contender and have probably read nice things about the new Lumia smartphone brand from Nokia that debuted last October. Lumia is the ailing cellphone giant’s inaugural Windows Phone lineup born out of their partnership with Microsoft. 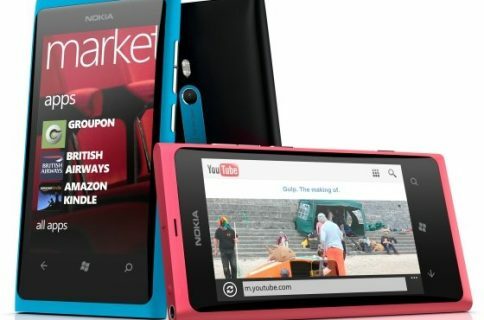 The Lumia 900, Nokia’s latest attempt to beat the iPhone at its own game, is backed by millions of Microsoft’s marketing dollars and pushed with aggressive anti-Apple advertising. Nevertheless, the handset has apparently fell on def ear with both carriers and bankers. According to Reuters, four major European carriers are not impressed with Nokia’s recent Windows Phone devices, expressing doubt over the Lumia brand’s ability to compete with the allure of the iPhone and existing Android devices that come in all shapes, colors and price points. No one comes into the store and asks for a Windows phone. [..] Nokia have given themselves a double challenge: to restore their credibility in terms of making hardware smartphones and succeed with the Microsoft Windows operating system, which lags in the market. This person opined that the Lumia would be much easier to sell if it came with Android. In all honesty, carriers do want Windows Phone to succeed in the marketplace because they desperately need an effective bargaining chip against the iOS-Android duopoly. It’s good for operators if we can reduce the dominance of Apple. 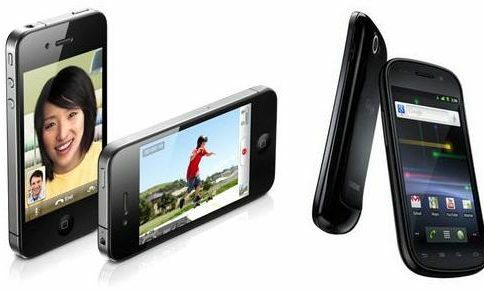 It’s been rumored that carriers are considering dropping industry-leading iPhone subsidies, a move that would make Apple’s handset pricier to buyers and result in an estimated worldwide drop in sales of 27.5 million iPhones in the June quarter. Both Moody’s and Standard & Poor’s downgraded Nokia’s debt due to a “sharp decline in first-quarter cell phone sales” which led to a 35 percent fall in revenue. To make matters worse, shares of Nokia nosedived 20 percent on the news that the embattled cellphone maker won’t be able to meet its forecasts. The Lumia 900 has seen some modest success in the United States. AT&T has backed the device with a nationwide advertising campaign because Microsoft funneled millions of marketing dollars to carriers as part of its agreement with Nokia. 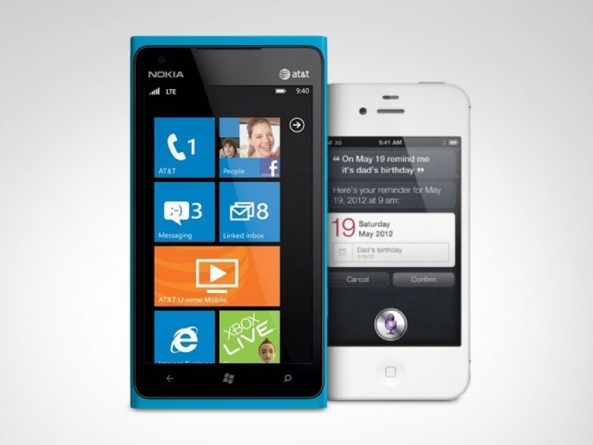 The Lumia 900 launched as an AT&T network exclusive on Easter Sunday, when most AT&T stores were closed. 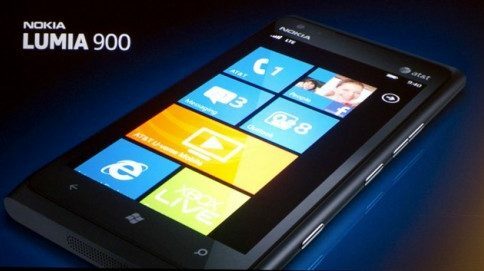 But in spite of its incredibly cheap $50 price tag and Microsoft-centric blogs running polls claiming that most people switching to the Lumia 900 are moving from the iPhone and Android, the handset has already fallen off Amazon’s best-selling list after briefly topping the online retailer’s smartphone rankings. I recently had a chance to play with the Lumia 900 for a couple minutes. The Windows Phone software is novel and refreshing, I’ll give them that. The concept of tiles gets old fast, but hey – it’s just me. Overall, I was impressed with the user interface and the speed of Windows Phone software. I’m really sorry to say this, but the Lumia 900’s interface is even more responsive and smoother than iOS is on my iPhone 4S. A deal breaker? The 480-by-800 pixel resolution AMOLED display. It looks OK, but feels last year next to the iPhone’s Retina display and the Samsung Galaxy Nexus or other high-end Android handsets rocking native 720p resolution. What do you think, is there any hope left for Nokia? Or perhaps they’re going the way of Research In Motion? Provided you saw the Lumia phones in person, were you impressed?